SquidProxies Review 2019 - Is worth to buy Squid Proxies? Squid Proxies is a trustworthy private proxies provider, that offers Good customer support. Its proxies are well-known and used by many BHW members. 20% Recurring Discount – Read to end! Squid Proxies offers elite anonymous HTTP/HTTPS proxies. This means they can access websites using all of the popular browsers, such as Chrome, Internet Explorer, Firefox, Safari, etc. They also offer a high level of anonymity and support both HTTP and HTTPS web protocols. They are great for marketing and use with social media sites, most notably Instagram! Many users have reported great success and reliability while using the Squid Proxies servers for Instagram automation. And It’s great for Proxies for SEO, Especially who using Scrapebox. Here is a fantastic place for you to choose Scrapebox Proxies! SquidProxies.com have specialized the connections on their server to get fast speed. So if you’re looking the specially Proxies for Scrapebox, Here may be a right place for you to check out! By the way, Xrummer – Another SEO tools by Russian for posting backlinks on forum is not allowed. Squid Proxies only have 2 type of proxies Packages, The private proxies and shared proxies. The proxies are good for just about any legal use. They are specifically targeted at marketers, with shared and dedicated proxies centered around marketing. They offer unlimited bandwidth, super fast server speeds up to 1,000+ Mbps, high anonymity, and all at an ultra affordable price. Here are the private proxies packages that Squid Proxies service provides. It should be noted that they do not offer specialized Packages for the special purposes. But SquidProxies.com guarantee that these proxies will work for the legal purpose, and if you aren’t fully satisfied you can get a full refund within 3 days. 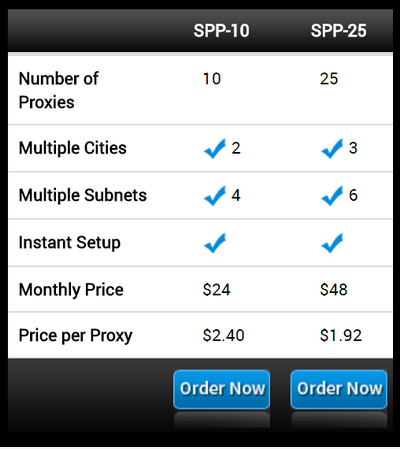 Package of shared proxies starts from 100 proxies at $1 per proxy, Yes. Its Cheap, but you must take note on the shared proxies packages. Squidproxies offer the Non-Sequential IPs with a fast connection. The servers they offer are incredibly reliable, with fewer errors than many other services. For their private proxies, they have a guarantee that it will work for your purposes and meet your satisfaction. For the shared proxies, however, there is no such offer. They are less reliable and likely to work, so we recommend you upgrade to the private proxies option to maximize your value. They offer 24/7 access to your proxy servers all year long. You can get Multiple GEO Locations. 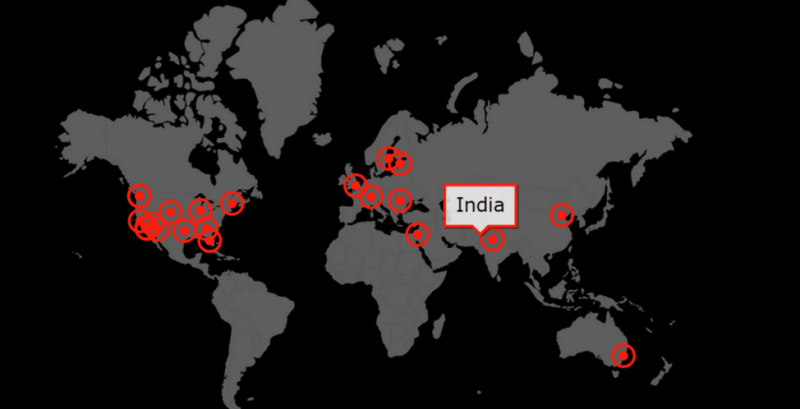 Here are Locations of networks that squid proxies service provided, Offering exclusive USA & Europe (Bern, Switzerland, Canada, UK, Sweden, Zurich) Proxies, India Proxies, China Proxies and More. These locations are available for both private and shared proxies, so either one offers a great selection for locations. Remember! If you need a specific location/locations for your proxies, you have to submit a ticket after you check out. Otherwise, proxies will be allocated randomly in the United States, and you will not be able to get access to the locations you need. 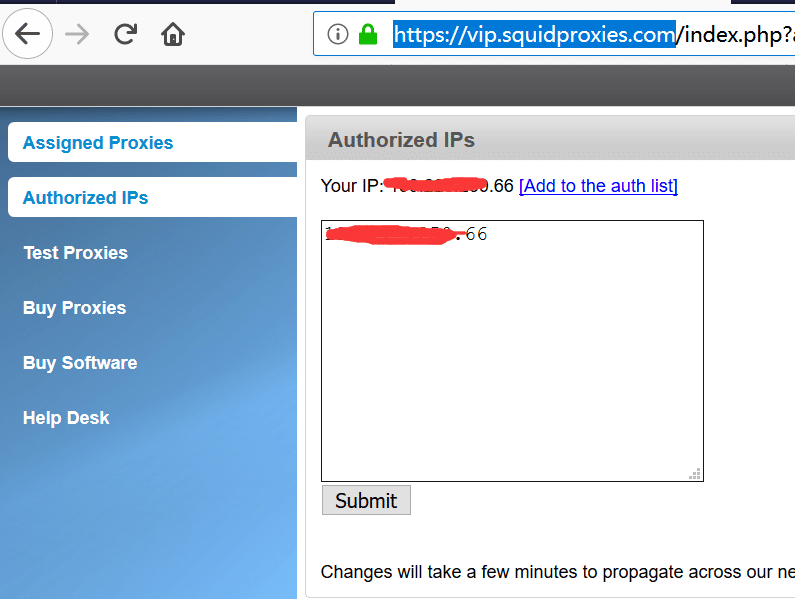 After paying for the proxies, You can get a login information of Vip.squidproxies.com from your email, You can easily get your IP:Port from their proxies. Note: Only IP authentication available! Squidproxies offer the email and ticketing customer support, You can get the touch to them 24/7. It’s a great proxy service that has an ever-growing reputation for taking good care of its customers, But their owner looks like a little lazy to add more new features for on their proxies. The Squid Proxies website is very easy to navigate and pleasant to use. They have an abundance of helpful tutorials to aid in set up, an FAQ section, and a simple customer service section. All throughout the site are helpful tips and information to help you better understand the service and how to use your proxies. Their website and servers are also free of advertising. I found their resource section to be the most helpful. There you can find step by step tutorials for any questions you might have, including how to use your proxies across any platform and browser, how to troubleshoot connectivity issues, and how to use HTTP proxies in PHP code. These tutorials are very easy to follow, with pictures accompanying the instructions. There is also a section offering articles for various topics. I went through a few of these articles, and they are complete and packed with lots of useful information to help you better understand your proxy. If you are already his consumer, Pleas share your review at here.Cheers! You can get 20% recurring discount,Use coupon: privateproxyreviews. 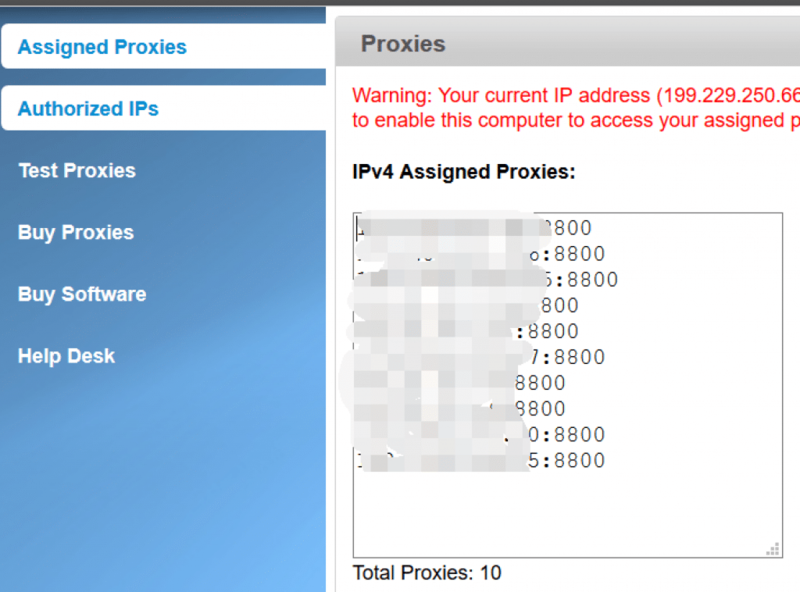 Squidproxies is a really old proxy provider, Offer the Anonymous IP service from 2011, Maybe not the Best, But trusted. Amazing proxies and very cheap. I had an issue with some proxies and they responded within 30 minutes and refunded me the full amount. Very satisfied. Still using these proxies into 2017…Customer service continues to remain the best out of any company I have used in the past. One of the best customer service’s that I have dealt with. Cant beat the price either! I tried them for 2 months and I wasn’t totally satisfied with the quality of the proxies, not bad either, would say it’s average. But their support is what truly defines customer service. They are really coordial and help you to the end. Really loved their support. I just hope they improve the quality of their proxies. I tried Squid Proxies for the first time today. The IPs was already banned by instagram and wordpress. That’s a little bit strange for a fist time. I oppened a ticked with the support for replacing the proxies, then they refresh the proxies,Now half of my proxies works well on IG.Though not 100%, it’s kind in my views. Previously I was getting proxies from scrapebox,It’s the public proxies that I was scraping every times,it’s really time wasteful and get bad success rate on posting. Squid proxies help me get good results on posting via GSA and scrapebox posting on tier 3 or 4 on linkbuilding.Both the success rate and LPM are applauded by me.For me it’s the best proxy provider out of all i worked with great speeds. SQUIDPROXIES IS ONE OF THE WORST. While the price is reasonable, the connections make it a loser. Tech support takes days to get an answer and then they act like they’re doing YOU a favor. I have sent emails about their downed service at 8AM and didn’t get a reply until I sent a second report (using their proxy mgr software) 14 hours later. During the 2 months I wasted on them, there was a problem almost EVERYDAY, usually resulting in hangs on facebook. At first they worked as claimed, then went downhill the second month. It’s that simple! These proxies are able to upload a YouTube video pretty quickly.I’m amazed! Great proxies and very fast! Will tell my friends about your awesome service!! I use it for SENukeX.I haven’t had a single proxy fail on me.